Supply Box is rated 5.0 out of 5 by 7. 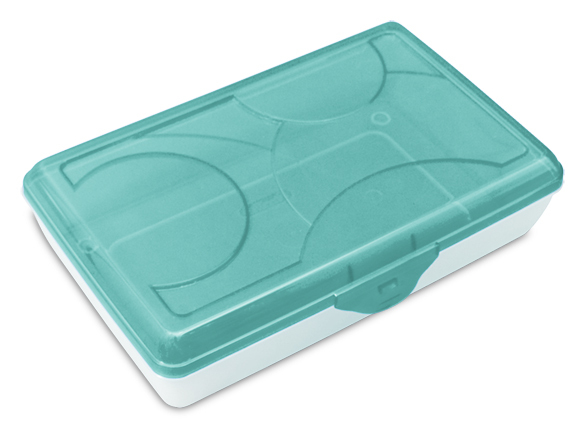 Rated 5 out of 5 by susie1 from excellent quality This small supply box is very durable. That is one of the features I look for in this type of product. It is also easy for little hands to open and close. Also an important feature. Rated 5 out of 5 by Thelunchboxguy from Great as a multi-purpose container Works great as a lunch box too. Fits my wrap perfectly. Rated 5 out of 5 by TeacherSD from Tools I have bought these for my classroom but I bought them for my uncle for all of his screws, nails and brads. Rated 5 out of 5 by Rhonda P from Great for team tables! I use these for each team's table to store extra pencils, erasers, and glue sticks. They are very useful in keeping the teams organized with their materials. The only drawback that I have run into is that the lids tend to snap off and break at the hinge due to being opened frequently. But, this is to be expected! Great product! Rated 5 out of 5 by grahamya from can't get enough LOVE, LOVE, LOVE this item! I store everything from crayons to sewing notions in these! Perfect size!!! Please, please, please make them in different color. Pretty please. Rated 5 out of 5 by cq from As an elementary teacher, I love the size of this box for school supplies. 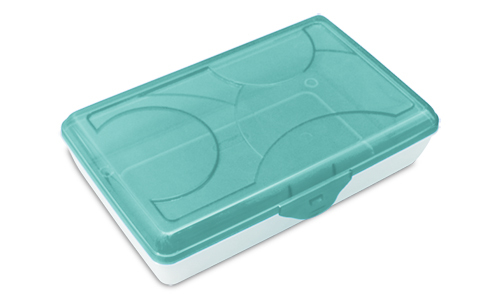 The Sterilite 1729 is the best size for school supplies for students. It holds everything and fits neatly in their desks. My only complaint is being able to find it in stores. No one seems to carry this size, only the small size which is too small for crayons, glue and a pencil.